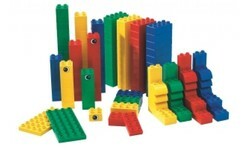 A DUPLO basic set exists in several sorts and variants as far as the number and kind of DUPLO bricks are concerned. 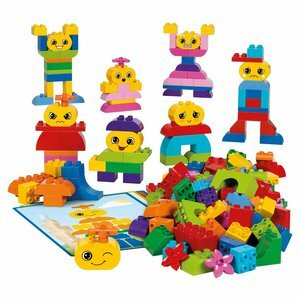 A DUPLO basic set lends itselves perfectly for equipping day care centers, kindergartens and other pre-school institutions. 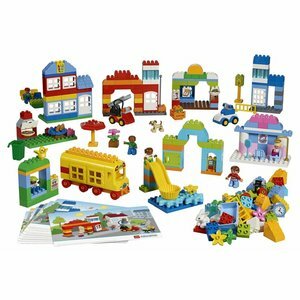 The DUPLO basic set has special elements and figures and is virtually the vitamin to be added and they spice up existing collections. A DUPLO basic building set is suitable for children from 18 months up to 5 years. 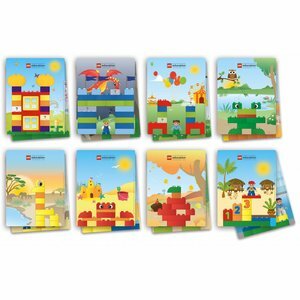 The Creative DUPLO building Cards 45080 feature 16 building challenges designed to help children learn how to build DUPLO creations and to follow instructions.